MANILA, Philippines -- Preparing for the AFF Suzuki Cup is the first order of business for famed Swedish manager Sven-Goran Eriksson as he fully takes over the head coaching duties for the Philippine men's national football team. 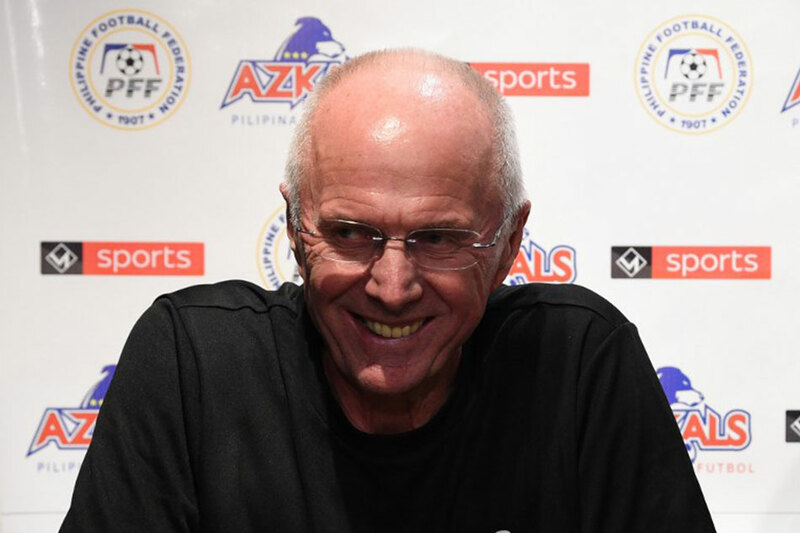 Best known for his stint as manager of England for the 2002 and 2006 FIFA World Cups, Eriksson formally began training the Philippine Azkals on Sunday, and will be at the helm of the team's campaigns in the Suzuki Cup later this month, and in the 2019 AFC Asian Cup early next year. "I'm very happy to be here and I suppose one of your questions will be why I am here, and it's not easy to answer that question," said the 70-year-old Eriksson in a press conference at the Bonifacio Global City on Monday afternoon. "When I got the question from the big boss, I thought, 'Why not? Why not do something a little different from what I have done before?'" he explained. "So coming here, and working for the two big tournaments, the Suzuki Cup and the Asian Cup, that is something which, yes, I said to myself, 'Sven, that's what I want to do.'" The coach, who has worked with the likes of David Beckham and Frank Lampard, was pleased with what he saw in his first few training sessions with the Azkals. Before formally working with the team, he had observed their training camp in Qatar under the supervision of Scott Cooper, whom he had previously worked with in Leicester City. "The few training sessions we have had have been very, very good," he said. "The players are dedicated, work very hard, so I hope, I think the future is bright." The first test for Eriksson will be the Suzuki Cup, where the Azkals are hoping to bounce back after missing out on the semifinals in 2016 -- the first time they had failed to reach that stage since the famed Miracle in Hanoi back in 2010. "I think, the pressure is on the whole team, the directors, the federation, on the coaching staff of course, and myself, to try and do better in the Suzuki Cup than Philippines had done before," said Eriksson. "That means, at least, reaching the final," he stressed. "Of course, that is pressure," he added. "But we are going to try, and we all look forward to it. I look forward to it." The Azkals have been grouped with Thailand, Indonesia, Singapore, and Timor-Leste, and will open their campaign against Singapore on November 13 at the Panaad Stadium in Bacolod. "I think the job of any coach or manager is to try to find the best 11 for every game. That's what we're going to do, try to find the best 11 players against Singapore," said Eriksson. "We will be ready against Singapore, I'm sure about that." 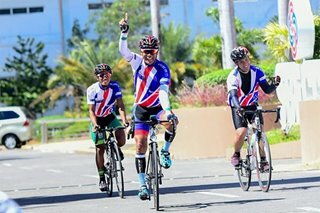 Dan Palami, the team manager of the Azkals, has previously said that it was "about time" that the Philippines won the Suzuki Cup -- the tournament that sparked the football renaissance in the country. Thus, it was no surprise that Eriksson is keeping his focus on the tournament even as the Azkals are also bracing for another important competition -- the Asian Cup in 2019, where they will be participating for the first time. "I could easily say, 'win it'," Eriksson said when asked what he hopes to achieve in the Asian Cup. "I don't know if it is realistic to think that for the first time." "But let's start with the Suzuki Cup," he was quick to add. "If you want to speak about the Asian Cup, the big target to start with would be to go further, to go (past) the group stage." "But that's far away, we have other things to do before that." The national team will continue training in Cavite on Tuesday, before flying to Bacolod on Wednesday ahead of their game against Singapore.